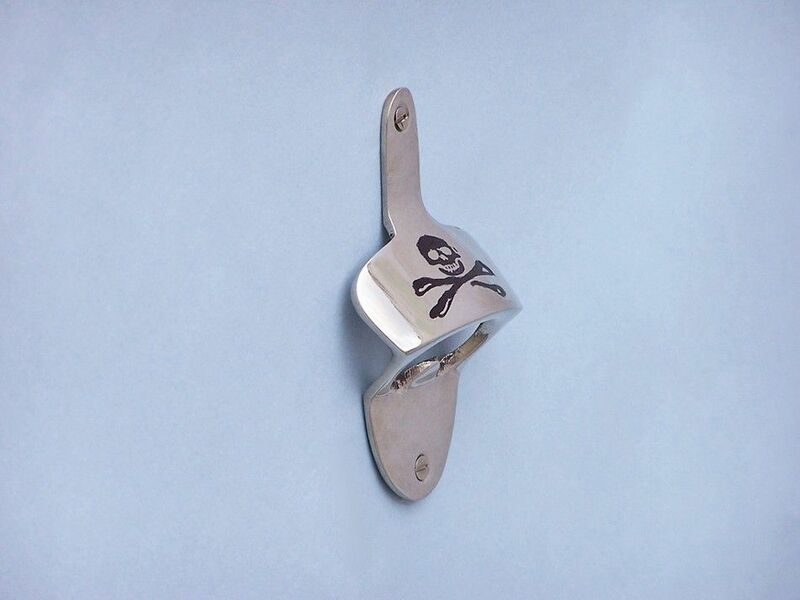 The Chrome Pirate Skull and Crossbones Wall Mounted Bottle Opener 3.5" is the perfect pirate decor item to mount to your wall in your kitchen. 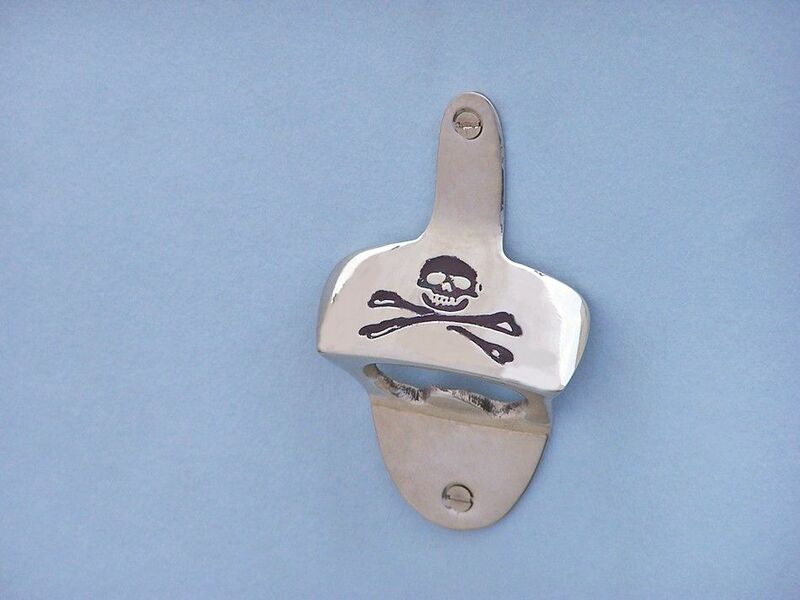 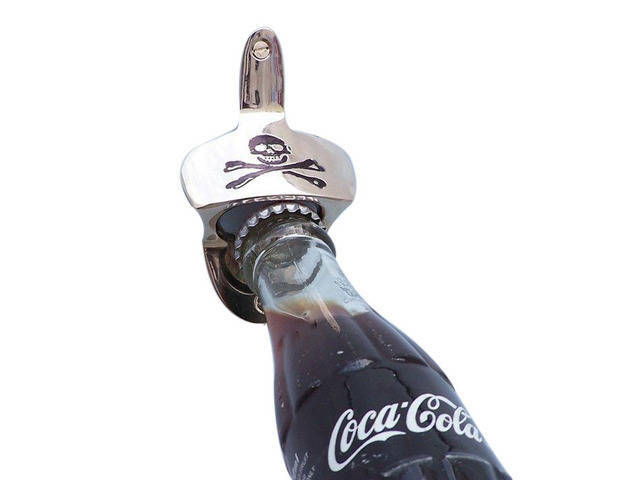 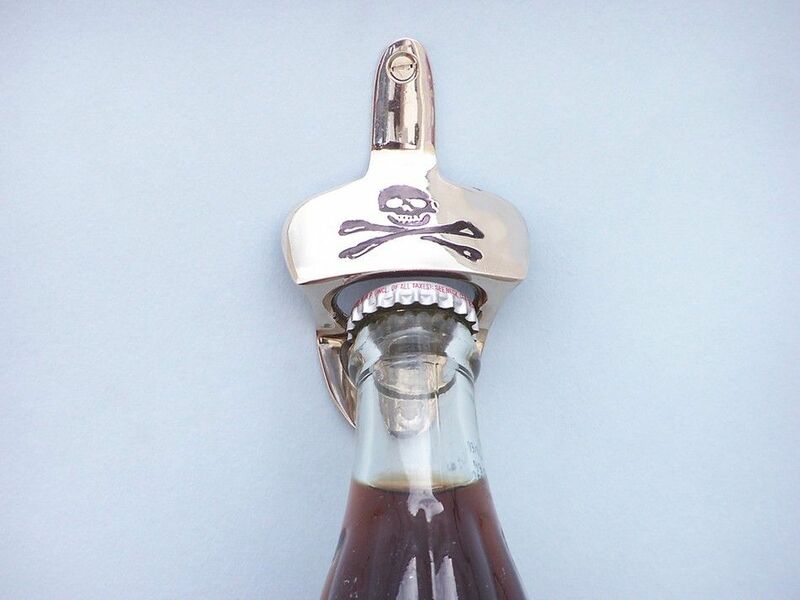 This chrome skull and cross bones bottle opener will open even the most difficult of bottles with ease. 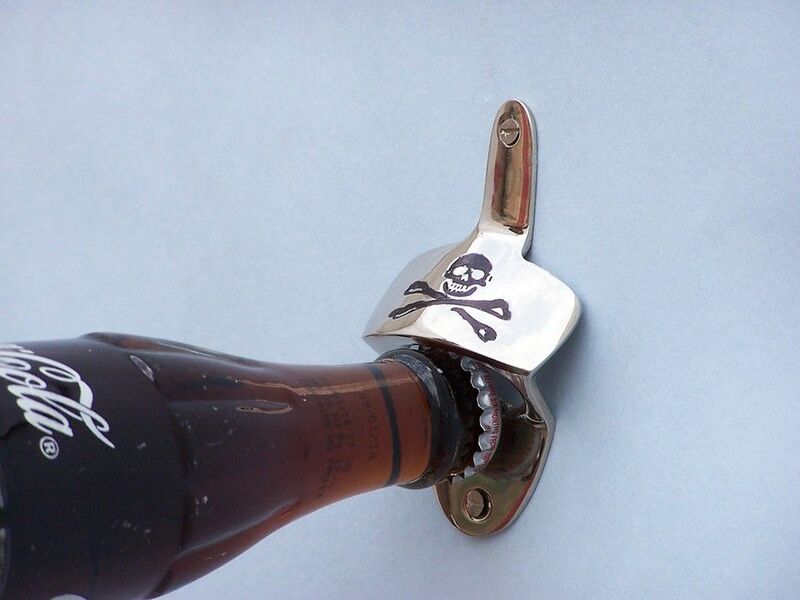 This bottle opener is fully functional and easily mountable to the wall.